You might be a sportsman or a bodybuilding, improving your power for better performance is something we all look forward to. 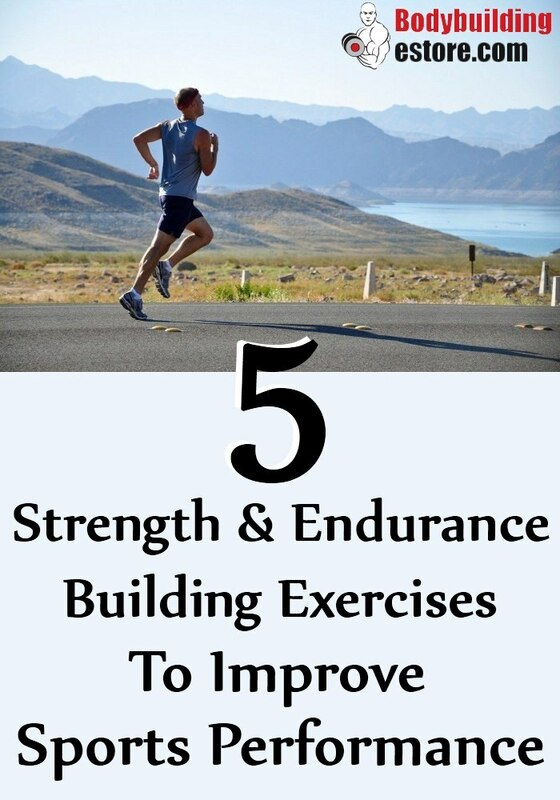 Though there are several workouts for the purpose, there are a few intense strength and endurance workouts, which work to improve your game performance. Intense strength workouts help in building power, strength, and ability in the muscles. It helps in reducing the risks of injuries and adds strength while improving circulation and balance. These intense strength exercises also improve immunity and metabolism which ensures optimum game performance. This is an interesting and intense strength workout, which helps to power your game performance with better stamina and strength. 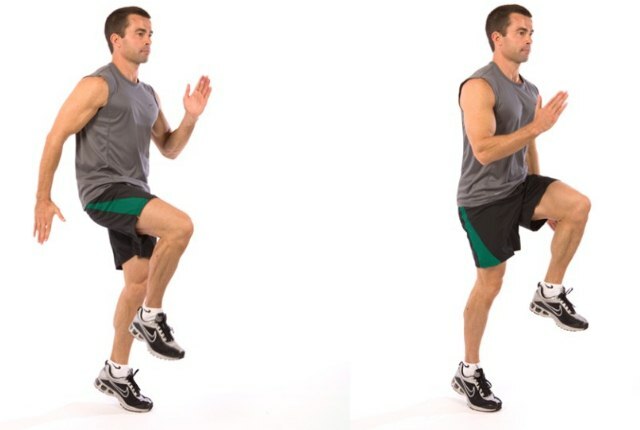 You need to start the workout with a box, which is of mid-calf height. You can later progress on to different higher heights from such a position. 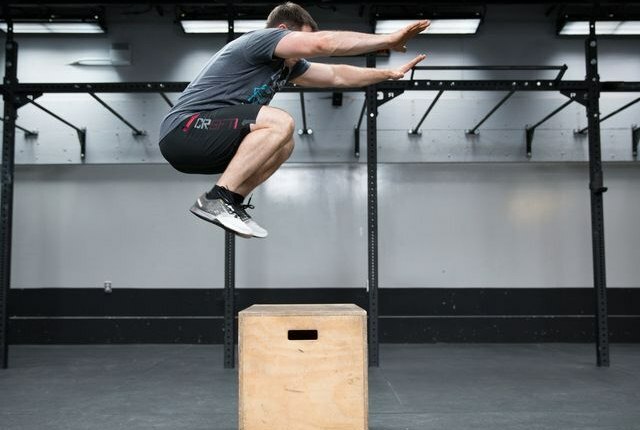 Start your training by standing right in front of this box. Your feet shall be shoulder distance apart. Now, slowly send your hips a bit back and swing the arms back too. As you start swinging the arms forward, you will be exploding on the box. You can land lightly on your toes. Now, step down using one foot at one time and then again repeat. You need to do this workout at least 6-8 times as you start. Start this workout by sitting straight as you keep your knees bent. Your feet shall be a little distance apart. Your knees shall be over the ankles. You can slowly hinge back from the waist and place your hands just below, on the floor and below the shoulders. Now, slowly raise your hips to raise the body. You can then bend the elbows to a certain point and have them back, as soon as the body starts moving close to the ground. You need to keep pushing into the heels and then straighten the arms to get back up. You should also punch your right arm just across the chest, as you start rotating the torso to the left. You need to return the hand to the ground and then quickly dip. You will also need to twist to the opposite side. You need to continuously do this for a minute. This is an intense workout which helps in increasing metabolism, builds strength and improves performance. Start the workout by standing with your feet wide and having them turned slightly outward. As you keep your chest lifted, you can get into a squat position. You need to reach your arms close to the ground. Now, push into your feet so that you can quickly jump up. You need to turn to your left and make 180-degree angle, as you are in the air. You will also need to move your arms in a circle like a position from the right to your left. You can land quite softly in a squat like position, as you face the opposite direction. Your arms shall be back to the ground. You can repeat and jump to your right and make 180-degree angle, as you quickly circulate your arms from the left to right. You need to alternate for one minute. If you find the movement a bit difficult, you can step around. Stand comfortably, as you keep your feet hip distance apart. Your core shall be tight. You need to slowly raise your knee up and then move your left arm forward. You will also hop off on the left foot. You need to land on the ball of the left foot and quickly bring the right foot down. You can repeat the same movement on your other side. You should be focusing on the height and not speed in this position. You need to do this for 10-12 minutes as you start working. Start the workout by lying down on the back in a comfortable position. Keep your legs straight and keep them raised at 90-degree. The feet shall be towards the sky. You need to clasp your hands and have them straight up. You can now lift your head and the shoulder blades. Your left leg shall be in a good position, while you slowly lower your straight right leg. It should be pointed towards the ground. You can crunch up in this position. Bring your hands to the outside of the left thigh. You can get back to the previous position and then repeat on your other side. You can alternate the sides for a minute. Repeat the movement for at least four minutes as you start.